Winter is the best time of year to evaluate which new plants held their promise and which won’t be on your list again next year. Here’s a quick review of five new perennials and shrubs that were outstanding in trial gardens this season. Since I garden mostly in shade, I am always eager to try new varieties of coral bells each year. This year, I was privileged to be given the new Primo™ series of landscape-sized Heuchera to trial. Their dramatic foliage was the perfect exercise in contrast, so I planted them side-by-side in a bed that receives only partial morning sun under the canopy of a neighbor’s enormous red oak tree. Primo™ ‘Black Pearl’ delivered exactly what it promised, namely jet black, broad, ruffled leaves. They kept this deep color all season without ever turning silver like many dark-leafed varieties do. The clump grew larger over the season yet kept its neatly mounded shape. I look forward to seeing what it will do next year. Hardy in zones 4-9. Primo™ ‘Pretty Pistachio’ was a favorite of the season, perhaps because I am partial to chartreuse plants in my shade garden. Its foliage glowed like a ray of sunshine under that oak tree, and I could pick it out easily from 50 yards away. It formed an exceptionally dense clump of smaller, fuzzy leaves and increased in size over the season. I was pleasantly surprised by its pretty pink blooms which popped up throughout the summer months. Flowers are always an added bonus in the shade. Hardy in zones 4-9. 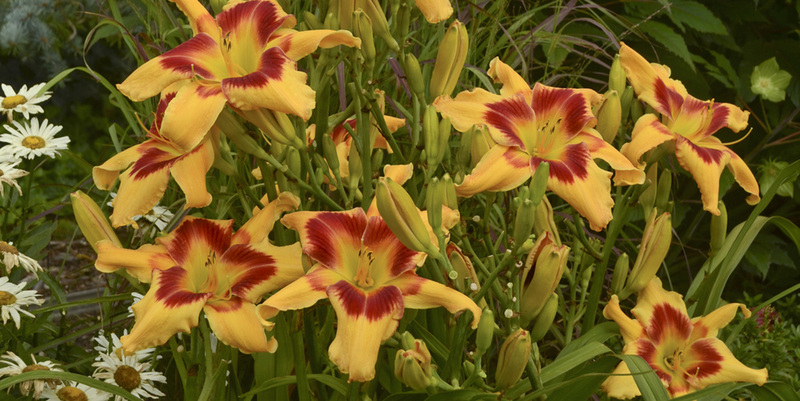 One of the most eye-catching flowers in the garden this year was the new ‘Tiger Swirl’ daylily which really packed a punch with its enormous 6 ½-7” blooms. The flowers are almost twice the size of the standard reblooming types like ‘Stella de Oro’ and they are fragrant too. The vibrant gold blooms have a heavy splash of raspberry red in the center and the twisted petals give each flower a unique spider-like look. Look for it to bloom at the height of summer. Hardy in zones 3-9. With so many new hydrangeas coming out every year, it can be tough to narrow down the choices. We’d love to try them all, but space and budget have a way of dashing that pipe dream. So, let me tell you about the most outstanding new hydrangea in my garden this year: Let’s Dance® Rave™. When the 1-gallon sized sample plant arrived, I noticed that its foliage looked especially healthy, durable and dark green. It didn’t have any buds yet, but I had high hopes. I planted it in morning sun in sandy loam supplemented with compost, watered it in and let it go. Within six weeks, I was absolutely astounded by the number of blooms on this plant and their intense lavender pink color. If my soil had been more acidic, those blooms would have been violet purple. 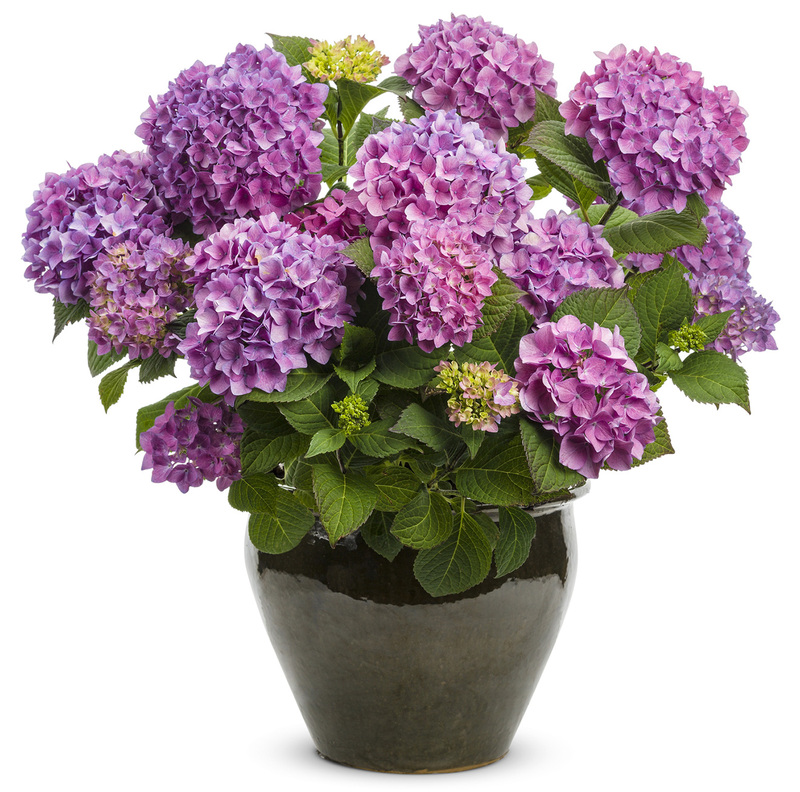 Let’s Dance® Rave™ is a reliably reblooming hydrangea that is truly one to “rave” over! Hardy in zones 5-9. Truly unique in shape, Purple Pillar™ is the first-ever columnar Hibiscus. That means its full size is just 2-3’ wide but 10-16’ tall, perfect for tight spaces next to entryways, along the side of the house or anywhere you need a tall exclamation point. You know that small space next to the side door where you need just the right narrow plant to fill the space? That’s the perfect spot for Purple Pillar. It will love the reflected heat and sunshine off your house, and won’t throw errant branches to block your way. You may just spot a few butterflies on its blooms on the way inside, too. Hardy in zones 5-9. I had the honor this year to study and write about the amazing woman behind the new Yezberry™ Japanese haskap varieties, Dr. Maxine Thompson. She pioneered her way through plant science and genetics at a time when a woman’s place was thought to be at home, not traveling the world following her passion and living her life’s work. Her résumé is awe-inspiring. 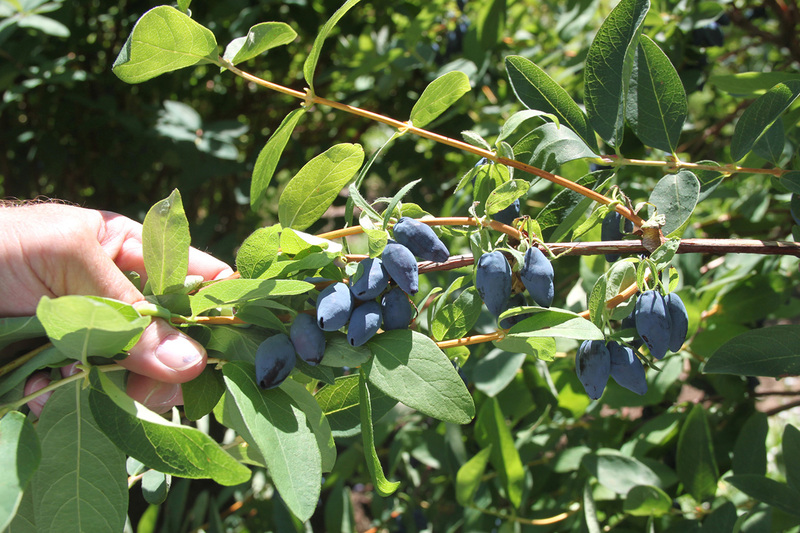 Dr. Thomson’s work of nearly 20 years on haskaps has resulted in the introduction of her first two varieties: Yezberry™ Maxie™ and Yezberry™ Solo™. Their tongue-smacking flavor bears notes of blueberry and strawberry. From a nutritional standpoint, haskaps are considered a superfruit, containing more of vitamins C, A and E than oranges and three times the antioxidant level of blackberries. They are easy to cultivate and a perfect choice for people who like to grow their own food. Hardy in zones 3-7. Find more new Proven Winners plants for Spring 2017 at www.provenwinners.com. 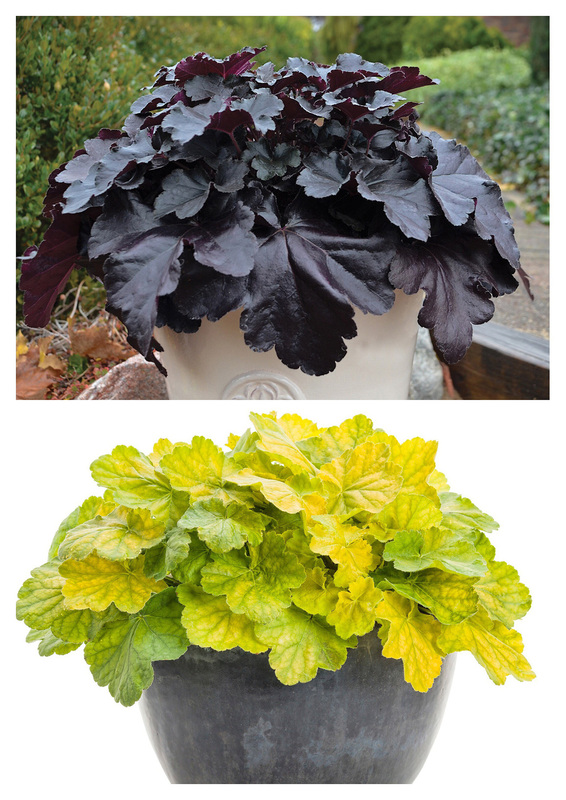 Patent Info: Primo™ 'Black Pearl' Heuchera USPPAF CanPBRAF. Primo™ 'Pretty Pistachio' Heuchera USPPAF CanPBRAF. Let's Dance® Rave™ Hydrangea macrophylla 'SMNHMSIGMA' USPP26929 CanPBRAF. 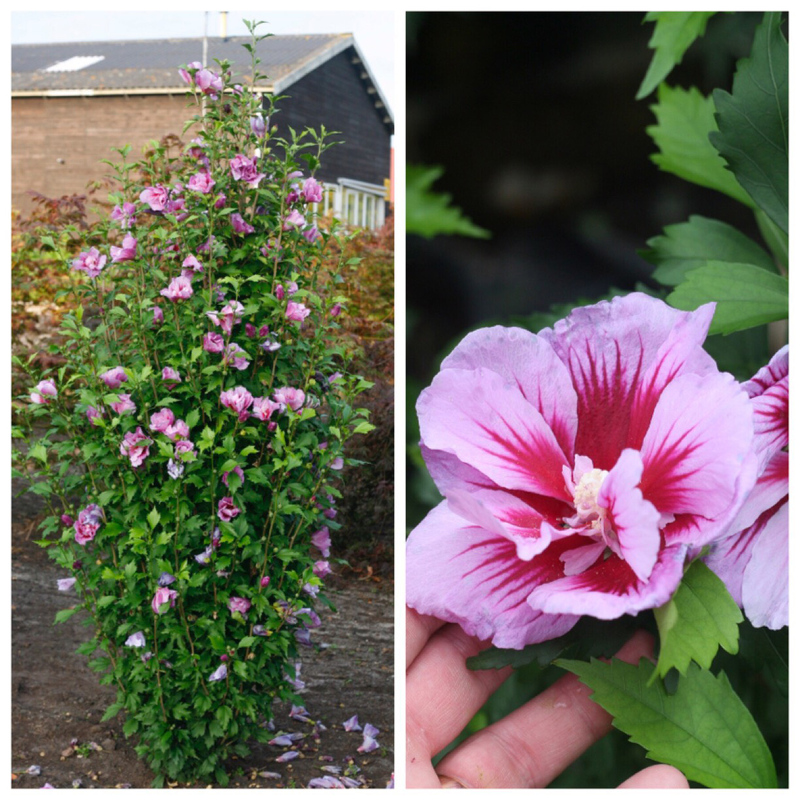 Purple Pillar™ Hibiscus syriacus 'Gandini Santiago' USPP25568 CanPBRAF. Yezberry® Maxie™ Lonicera caerulea 'Kuchi' USPPAF CanPBRAF. Yezberry® Solo™ Lonicera caerulea 'Kapu' USPP 26820 CanPBRAF.